Would you like one day to achieve such a level of spiritual evolvement that you yourself are considered a spiritual master? At this spiritual level you not only transform yourself but have the ability to positively influence humankind. This can only happen through spiritual growth. 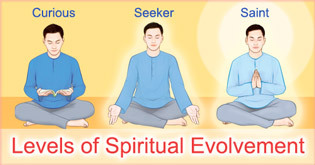 The issue is that the spiritual level of most seekers only increases by 0.25% per year. Under the guidance of H.H. Dr Athavale seekers have surpassed these odds and have achieved spiritual growth rates of up to 10% a year. 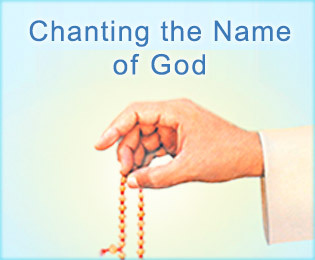 As of November 2015, there are close to 60 seekers who have attained Sainthood and over 750 seekers who have attained the spiritual level of 60% and above. In this section, we share the underlying principles and teachings behind such astonishing spiritual growth rates so that seekers can make the best use of their life and reach God-realisation in one lifetime itself. Throughout the SSRF website, we have frequently used the word seeker to refer to a person who is earnestly seeking spiritual growth. In this article we go into detail to explain the qualities of a seeker and how they may differ from those of an average person. The concept of spiritual level is perhaps one of the most intriguing concepts to our readers. We often get asked about spiritual level and how one can gauge one’s spiritual level. In this article we explain this concept in detail and also provide you with some benchmarks to estimate your own spiritual level. The type of degree we hold can have a lot of importance in the world. In Spirituality, we do not get degrees, but there are spiritual milestones in one’s spiritual evolution that can be compared broadly to worldly degrees. Have you ever said a prayer and found that it was answered instantaneously? Have you ever had a dream that was a premonition of an event to come? There are some things that happen to us in our lives that modern science fails to explain. 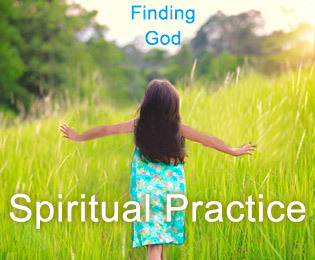 These are examples of spiritual experiences that often accompany spiritual practice. 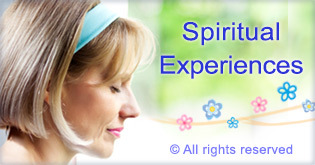 Spiritual experiences are given either by the Divine or by negative energies. This article explores the concept of spiritual experiences in depth and provides guidance on what to do when one experiences the supernatural. 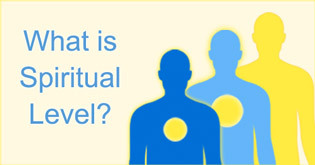 The Spiritual Science Research Foundation (SSRF) uses the term ‘spiritual level’ to describe a person’s spiritual maturity or spiritual capacity. The type of degree we hold can have a lot of importance in the world. In Spirituality, we do not get degrees, but there are spiritual milestones that can be loosely compared to worldly degrees. There is a saying that if you always do what you always did then you will always get what you have always got. If there is one thing that is essential for spiritual growth it is increasing one’s level of spiritual practice regularly. Spiritual growth cannot occur if one does the same practice throughout their lives. For the vast majority of those who attend yoga classes, they are nothing more than a form of physical exercise. However for those seeking spiritual growth, will such yoga classes provide a boost to one’s spiritual journey? 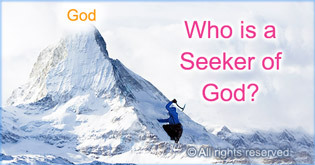 In this article we explore the options for the seeker who wants God realization. SSRF holds a bi-annual spiritual workshop at its premier Spiritual Research Centre in Goa, India. The workshop is conducted free-of-charge for all the seekers attending with the sole purpose of assisting them in their spiritual growth. Gurupournima is a day when the Teaching Principle or the Guru Principle is 1000 times more active in the Universe. Learn how you can benefit from Gurupournima at a spiritual level. After we start our spiritual journey, it is important to gradually increase the level of our spiritual practice on a regular basis. This article gives practical guidance on how to do so in order to ensure continued spiritual growth. 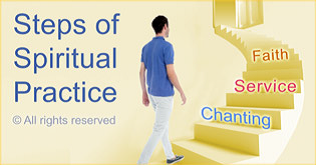 The steps of spiritual practice we can take to ensure continued spiritual growth. Doing spiritual practice yields many short and long term benefits. Spiritual experiences help to build faith and fuel increases in our spiritual practice. Marisa started spiritual practice only 4 months ago but has found happiness and inner peace through spiritual growth. 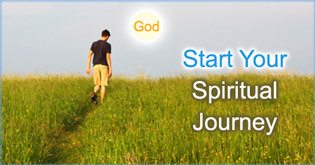 Read how JT overcame drug and alcohol addiction among other problems through spiritual practice. Adrian witnessed an all-round positive change from lifestyle to relationships after starting spiritual practice. Silvia was eager to find God in her life and in this article she shares with us about this quest. Christie faced negative thinking and anger for much of her life. Spiritual growth helped her to overcome it. When depression consumed AK’s life, only spiritual practice helped him to overcome it. Learn how Auritro has overcome drug and alcohol abuse through spiritual practice. 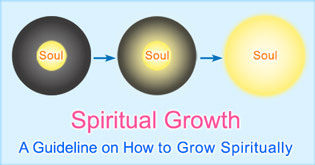 Start spiritual practice to grow spiritually and achieve one of the basic purposes of life. This video explains who is a seeker and how to develop seekership. A seeker describes how spiritual growth has shaped his perspectives on spiritual practice. People are often afraid of old age and the problems they may face due to possible health issues. People may worry about being a nuisance to others due to not being able to care for themselves. Here we present the case of a spiritually evolved seeker who had transcended fear of disease and old age and was able to conduct spiritual healing sessions to help others in their spiritual practice.